The dissolution of the Union of Soviet Socialist Republics on December 31, 1991, stunned the world. The communist empire--which had been a dominant force in global politics for 74 years, influencing world events from World War II to issues of nuclear weapons and defense--was suddenly gone. 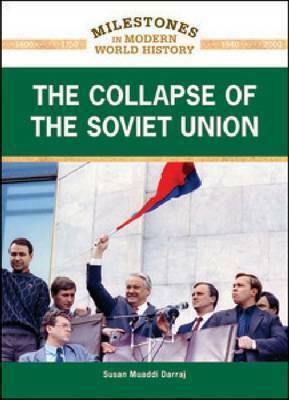 The Collapse of the Soviet Union highlights major events in Soviet history, such as the rise of communism in Russia, the terror and expansionist policies of Joseph Stalin, the election of Mikhail Gorbachev, the explosion at the Chernobyl nuclear reactor, and the rivalry between Gorbachev and Boris Yeltsin as a new democratic Russia emerged from the ashes of the Soviet Union.